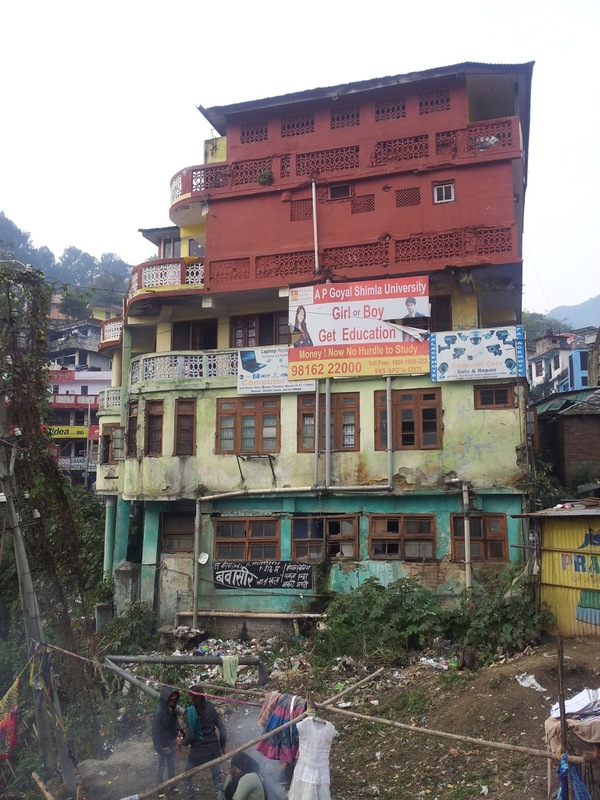 The building in which I was staying in Mandi is probably as old as the ancient artefacts around it. It is hard to figure that out from the upper floors. The paint-job conceals most of the visible defects. The lower two floors are not accessible from the entrance of the hotel located on the other side. The building is damaged beyond repair. If I had realised this earlier, I wouldn’t have even got into the hotel in the first place. There is a property maintained by ASI right beside the hotel. They should have taken over the hotel property, too. This Shiva temple, photographed from the corridor of my hotel, is maintained by ASI. It is probably in a much better shape as compared to my hotel building. 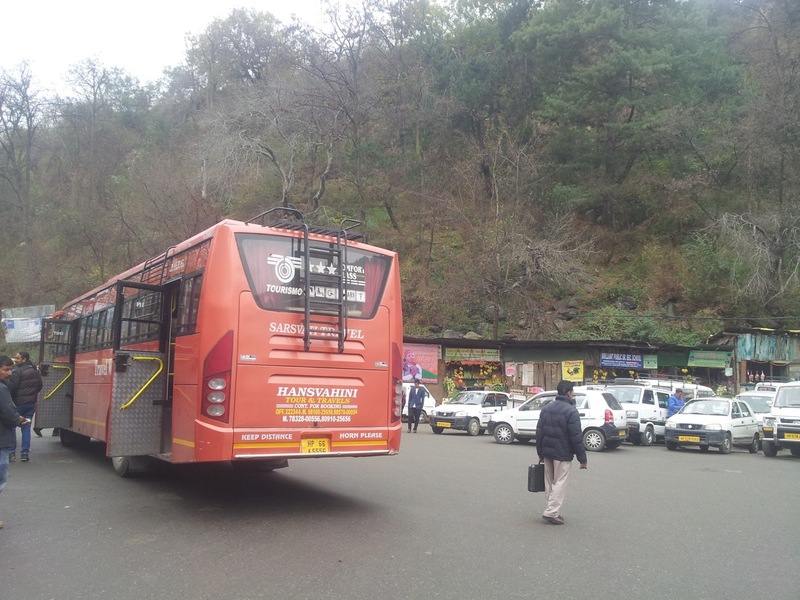 Most buses that have boards mentioning Manali doesn’t actually run till Manali. 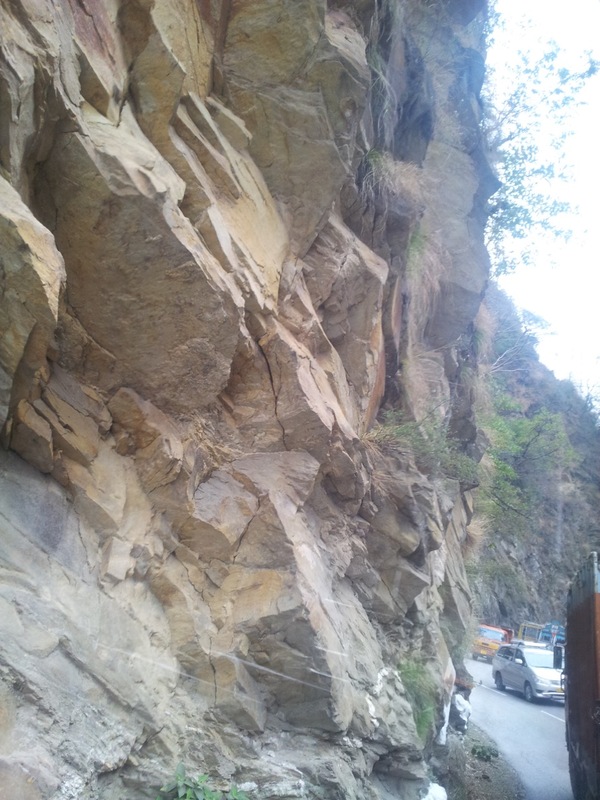 I got on such a bus, only to be informed that it would only go till Kullu. It was still an acceptable deal for me. I could have my lunch at Kullu. The rock wall on one side of the highway is absolutely vertical. The bus also travelled through Aut Tunnel, a 3 km long pass drilled right through the mountains. 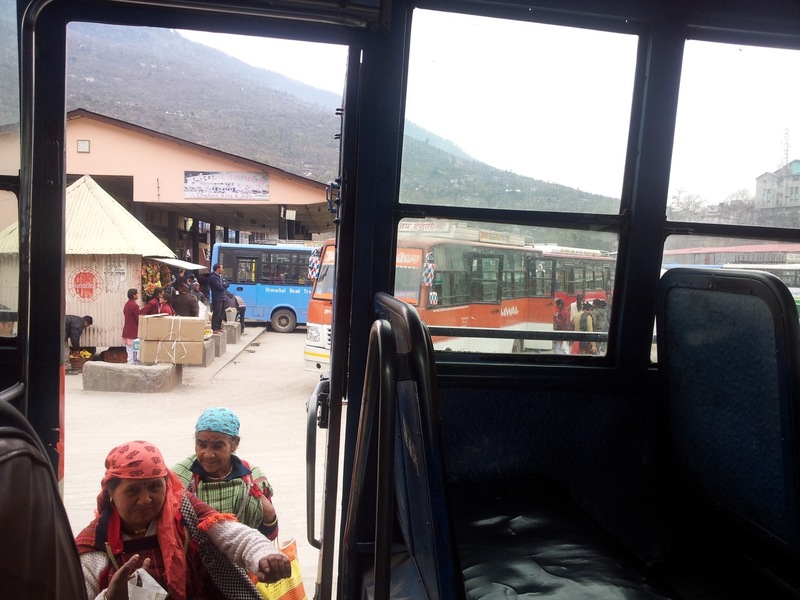 I had my lunch at Kullu bus stop and boarded on a Manali bound bus. Traversing this shorter distance between Kullu and Manali (about 40 kms) took quite a long time. The buses, instead of taking the NH 21 on the west of Beas river, takes the Kullu-Naggar-Manali Road from a place called Patlikuhal. The bus also stopped for over twenty minutes at the Patlikuhal fork. 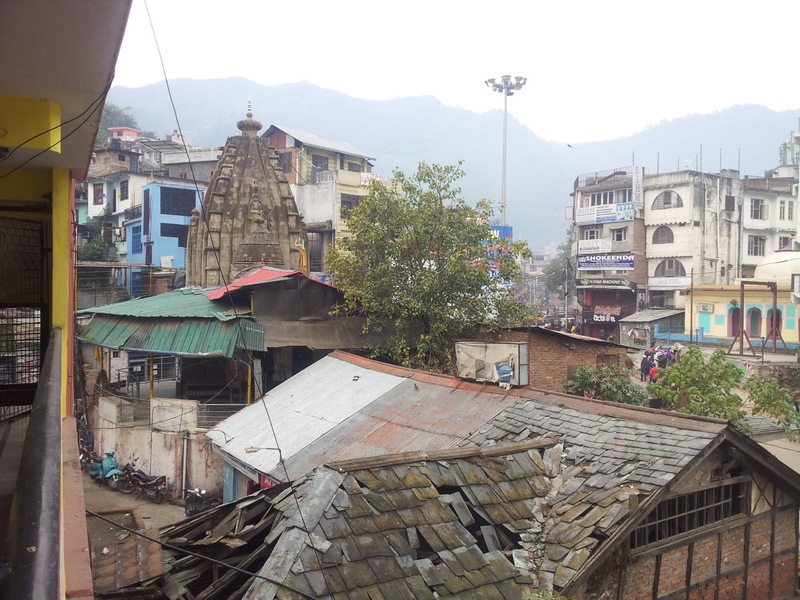 Kullu bus stand. I was already feeling the lowering of temperatures. 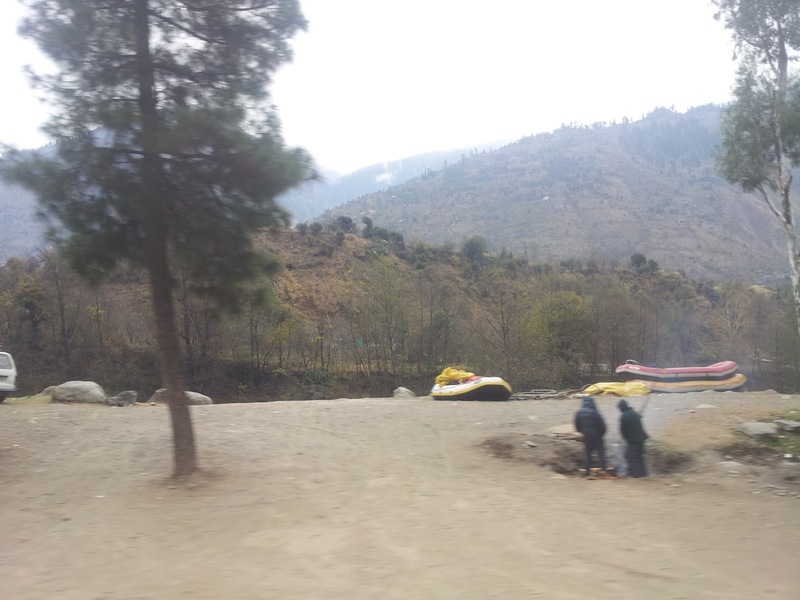 At places on the banks of Beas river, rafting equipments can be seen. Along with paragliding and skiing, white water rafting is a popular sport amongst tourists. The moment I got down at the bus stop, I could feel that my clothing wasn’t adequate. Luckily my hotel was very close to the bus stand. 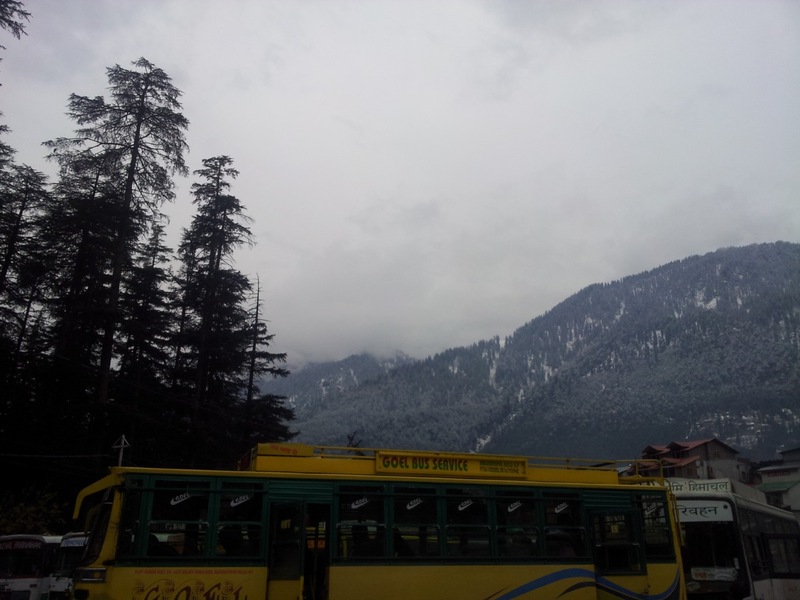 This picture is taken at Manali bus stand. All around me I could see white mountains covered in white clouds. 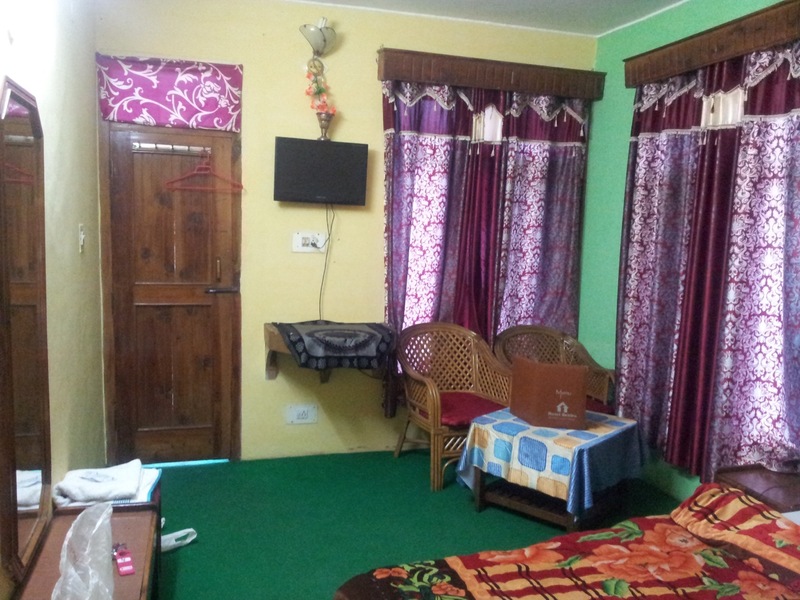 This was by far the most comfortable and well maintained room I have stayed in. I put on an extra layer of thermals and ventured out again. I needed some good food. A Tibetan restaurant called Chopsticks provided me with that. When I was done and came out of the shop, it was drizzling. 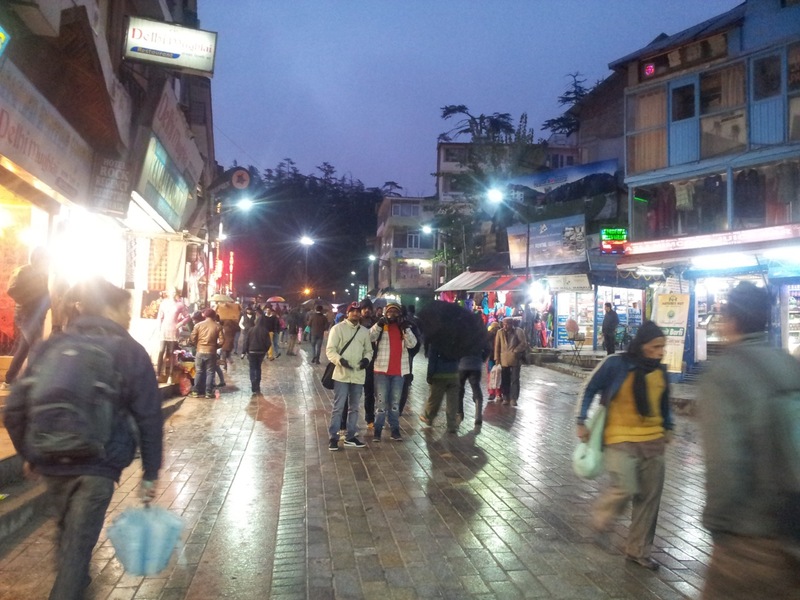 Mall road of Manali. It was drizzling in the evening – not rain, but snow. There is only one thing to do to escape the cold – sleep. I came back to my hotel room and slept for hours.